Are women better off today than their mothers were? Soon after I joined the Labour Party in London in the dim and distant past my Constituency Labour Party Women’s Section (yes, that was in the days when the Labour Party still had a thriving women’s organisation) held a discussion entitled “Are you better off than your mother?” I remember it to this day because it seemed such a pertinent subject and a good way of evaluating where women were going. On the whole, we thought we were better off than our mothers, though with strong caveats. We were generally better educated, had a higher standard of living and believed more opportunities were open to us. I am not so sure the current generation of 20 something women can feel the same. Reaction is all around us: the Church of England has refused women bishops, there is currently no woman on the board of the European Central Bank and the Tory-led coalition Cabinet has only five women out of a membership of 24. As if that were not bad enough, Prime Minister Cameron recently told the CBI that equality impact assessments are indispensible in his drive to cut “red tape”. In other words, measures that protect women are mere regulation which should be abolished. Women are not only losing their jobs. There is also a lack of women at the top of our institutions, despite research which shows that diverse leadership creates more positive outcomes than that of men alone. For the first time women’s progress has virtually halted, a situation which may get worse rather than better. Much of this has to do with the current ascendancy of what could loosely be termed reactionary forces. We have a right-wing government in Britain bolstered by some extremely right-wing Tory MPs. Our country’s economy is effectively in the hands of six men – David Cameron, George Osborne, Oliver Letwin, Nick Clegg, Danny Alexander and David Laws. I defy anyone to spot any real difference between these paragons. Even the dear old Church of England is now in hock to an alliance between the conservative Anglo-Catholic wing and the conservative evangelicals who came together to block women bishops. The plain truth is that women do better under centre-left governments when progress rather than reaction is the driving force. The number of women MPs has gone up every time Labour has had a majority in the House of Commons, culminating in 120 following the Labour landslide in 1997. Tellingly of this 120, 101 were Labour women MPs out of a Labour total of 419 seats won. The Tories had only 13 women out of 165 seats in the House of Commons while the Lib-Dems won 46 seats with three women. The results for the 2010 were as follows: Tories 306 seats won with 49 women MPs, Labour managed to take 258 constituencies and had 81 women while the Lib-Dems gained 57 seats returning seven women. 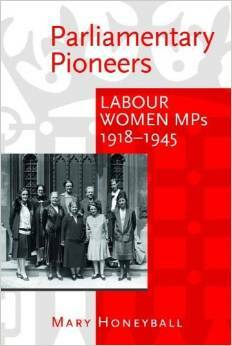 Labour’s record on women MPs is streets ahead of the Conservatives, both now and in the past. Women do not do well when the right is in the dominant force, in politics or any other walk of life. I hope all those women who are suffering the effects of the recession and the seeming reverse in women’s fortunes will take this message to heart. The answer to the question, “Are we better off that out mothers were?” lies to a large extent in whether progressive forces or right-wing reaction were in power across our national institutions at the time our mothers were making their way. As women we were and undeniably will be better off under Labour. You may like to have a look at this interview I recorded last month for Film New Europe in which I discuss the Creative Europe Programme. I explain how the process works and how new initiatives such as the loan guarantee facility, which will be underwritten by the European Central Bank, will work. Projects like this are hugely important and smaller outfits especially can find it hard to get sufficient funding. I hope this explains why the cultural and creative industries are so important. First things first, amongst all those many others may I wish Prince Philip a speedy recovery. He has been a tower of strength over the last 60 years and has made a contribution beyond compare to the Queen herself and the monarchy as an institution. Nevertheless, the Diamond Jubilee celebrations can only distance the rest of the world to a limited extent. While we have been enjoying our good fortune, the Eurozone leaders have been slowly forming a reaction to the sovereign debt crisis, specifically the banking crisis in Spain. According to the Guardian today, the recently elected French socialist government represented in this instance by Finance Minister Pierre Moscovici and the European Commission led by President Jose Manuel Barroso have just given strong backing for a new Eurozone “banking union”. Crucially, the plan could see vast national debt and banking liabilities pooled and then backed by the financial strength of Germany in return for Eurozone governments surrendering sovereignty over their budgets and fiscal policies to a central Eurozone authority. This is heady stuff indeed, and good news for the European single currency. Finding a way through the crisis in the Eurozone countries is also good news for the UK. Probably the only thing on which I agree with David Cameron is that it is in Britain’s interests to have a stable Euro. However, it is also very bad news for Britain. Yet again we are outside major European developments. This may not be harmful in the short-term, but will be damaging for the UK in the longer term. The European Council president, the President of the European Commission, the President of the European Central Bank and the head of the Eurogroup of 17 finance ministers have apparently been charged with drafting the proposals for a deeper Eurozone fiscal union, to be presented to an EU summit at the end of the month. The European Commission and France are piling pressure on Germany to line up behind the proposal. Angela Merkel would need to take it to the German parliament for agreement. Everything appears to be coming together -France and the European Commission working together, plus tentative but seemingly real acceptance of their proposals by the European Council, the European Central Bank and the Eurozone countries. Although it’s by no means all set to go, it does look as if the 17 Eurozone countries are coming closer together and accepting the need for a central Eurozone authority look at budgets and fiscal policies. Britain as ever is not part of what promises to be the most important European project since the formation of the Common Market. Unfortunately 50 years or so later, we still don’t get it. Europe is where the future lies. If Britain has any hope of being more than a bit player outside our own shores, we have to be a leader in the European Union. Today that means being up there with France and Germany in the Euro. Very unfortunately we did not join, and this blog post explains just how serious a missed opportunity this will turn out to be. To add salt to the wounds, if Britain had joined the Euro, there is little doubt we would have been at the top table with France and Germany. Yes, we would have suffered from the current crisis in the Eurozone countries, but thanks to dogmatic Tory Chancellor George Osborne and Prime Minister Cameron we are suffering a double dip recession anyway, even outside the single currency. The Euro was always a political as well as an economic project and the UK has comprehensively failed to grasp the political opportunity. I have been quoted in an interesting article on the debt crisis in the Greece. The article appeared on the excellent website Public Service Europe. You can read it on the site by following the link here, but i have repoduced it in its entirety below. With predictions ranging from the collapse of the eurozone and the global banking system to the polar opposites of southern and northern Europe being partitioned financially, leaving the euro to the weak peripheral states while the likes of Germany and the Benelux countries create a new stronger common currency, economic forecasters have gone into overdrive. Citizens in Greece are withdrawing their money from banks and buying gold, instead, believing this is the safer option. Monthly bank withdrawals reached nearly £2bn in the first quarter of the year.Prime Minister George Papandreou may have won his parliamentary vote of confidence, by 155 votes to 143 with two abstentions, but it was a marginal victory. Whether his already-divided Socialist Party will triumph again at next week’s vote on one of the most-austere reform programmes attempted by any government in recent history – some €28bn in tax rises and spending cuts – remains to be seen. Individual politicians voting in the chamber, and thinking ahead to the next election, might reconsider sticking to party lines when the streets outside are degenerating into anarchy – led by Syntagma protestors. And the country’s €340bn debt equates to more than €30,000 euros per citizen or 150 per cent of annual GDP output. Can any government package, even one that privatises beloved beaches and lucrative tourist spots, really bridge such a financial chasm? Well, Reuters reports that European Commission officials are planning a new bail-out to extend Greece’s year-old €110bn deal and fund it into late 2014 – with up to €60 billion of fresh loans. Some €1bn of EU cohesion funds could also be opened up to Greece early to trigger growth and reduce sharply rising unemployment. In fact, it seems unlikely that core Europe – Germany, France and the UK – will let Greece go to the wall. Even the US is doing all it can to prevent default. American banks are also badly exposed to Greek debt and the inter-linked credit default swaps, just as is the case with most of Europe. Even though the Failed State Index says Greece is “by far the poorest performer with respect to deterioration in the political indicators”, such concerns may have to be put aside for now. As leading MEP blogger Mary Honeyball says: “If there is a time where we need to be pragmatic it is right now. If the right solution isn’t found, it will have dire consequences for us all.” Indeed, were Greece to fall, the solvency of the European Central Bank would be called into question. Especially – if Portugal, Ireland, Spain and Italy falter as a result of dented market confidence emanating from Greek default and the inevitable “abandon ship” by bond traders. But, again, the will of the Greek people rather than the European and international elites is likely to be the deciding factor when it comes to which painful path the country chooses out of its economic quagmire. If Europe has not reached its nadir – with the MEPs’ expenses storm about to add to economic woes – it has certainly reached the “moment of truth”, as European Commission President José Manuel Barroso puts it. But there is still much to play for, if the political will and courage can be found to garner public support for reforms – both in Greece and across the European Union.